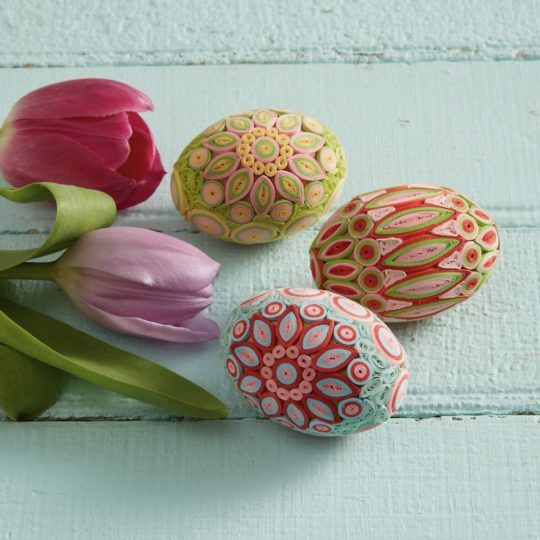 Remarkable in detail and craftsmanship, this set of 3 wooden eggs is covered with dozens of individually coiled paper details in lively colors and patterns. Flat bottom, can stand upright. 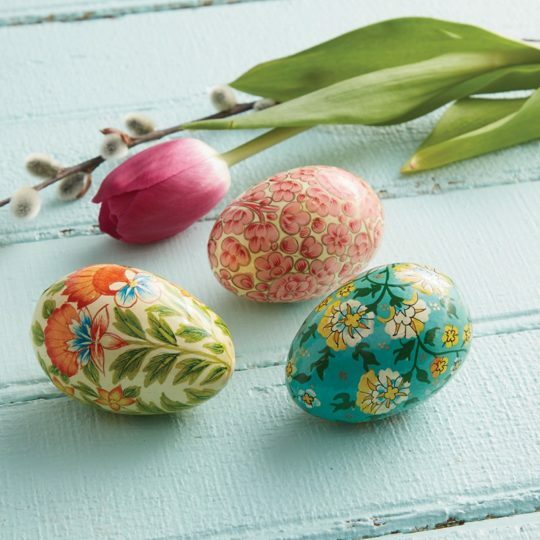 Each piece is 2 1/4"h.
Set of 3 papier-mâché eggs made from recycled paper are hand painted with floral patterns in cheery springtime colors. Each piece is 2 3/4"h x 1 3/4"dia. Essential oils have been used for centuries as a form of holistic care and relaxation. These fair trade oils are made by underprivileged women in India using pure, sustainably sourced natural ingredients. Never tested on animals, they contain no chemical additives or preservatives. Lavender oil is calming, helps fight stress and promotes sleep. 0.33 oz Use essential oils with our Dryer Balls to bring a fresh aroma to your clean clothes! Essential oils have been used for centuries as a form of holistic care and relaxation. These fair trade oils are made by underprivileged women in India using pure, sustainably sourced natural ingredients. Never tested on animals, they contain no chemical additives or preservatives. Lemongrass oil is clarifying and helps promote relaxation and a sense of well being. 0.33 oz Use essential oils with our Dryer Balls to bring a fresh aroma to your clean clothes! 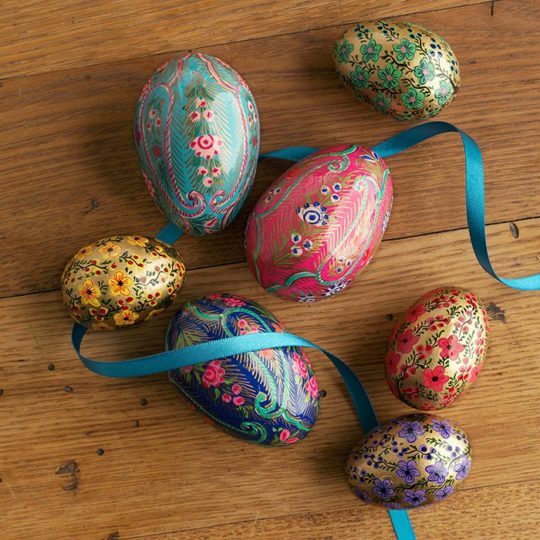 Artisans in Kashmir hand paint these wooden eggs with remarkable detail in brilliant colors. Your purchase provides isolated artisans with a fair wage and business training so they can support their families. Each piece is 2 3/4"h x 1 3/4"dia. Remarkable in detail and craftsmanship, these eggs are covered with dozens of individually coiled paper details, in beautiful colors and patterns. Each set includes 3 eggs as shown. 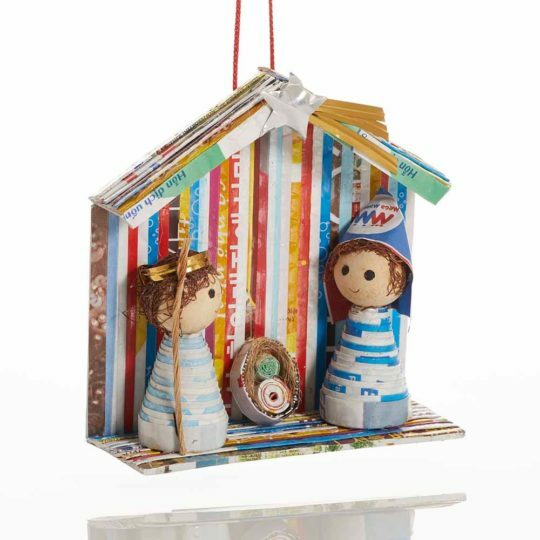 Each piece is 2" h.
Papier-mâché eggs are made by layering papier-mâché over a wooden egg then hand painting each in remarkable detail. Your purchase provides Kashmiri artisans with a fair wage and business training so they may support their families. Each piece is 2"h x 1 1/2"dia. 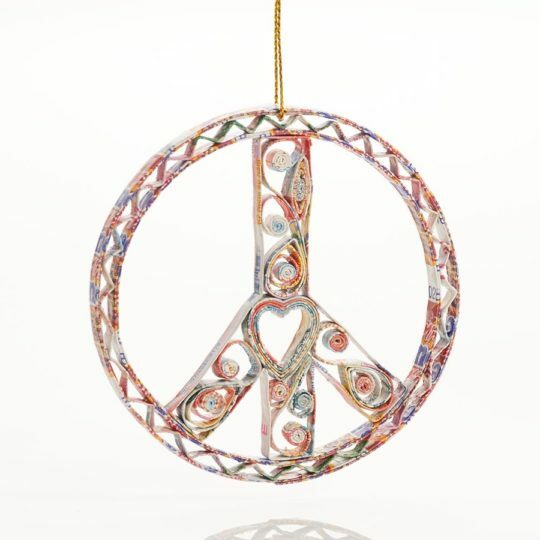 Artisans in Kashmir hand paint our wooden eggs with remarkable detail in brilliant colors. 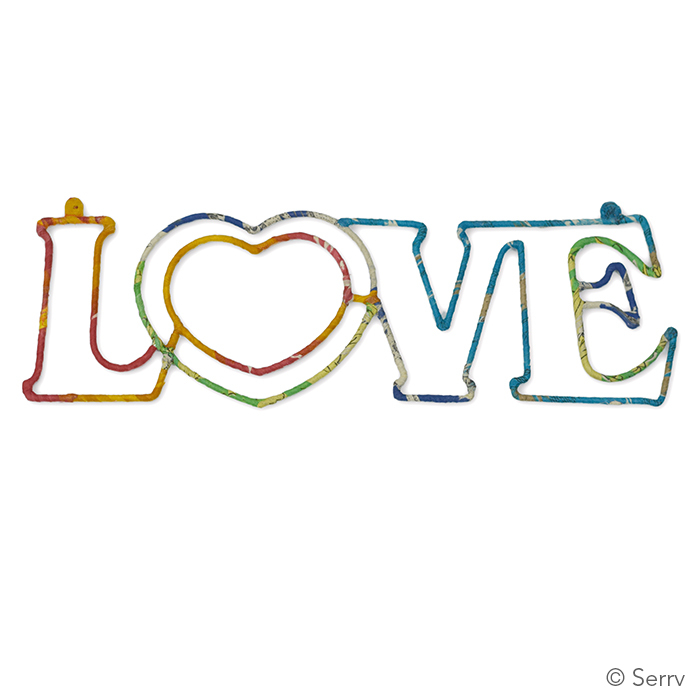 Your purchase provides isolated artisans with a fair wage and business training so they can support their families. Each piece is 2"h x 1 1/2"dia. 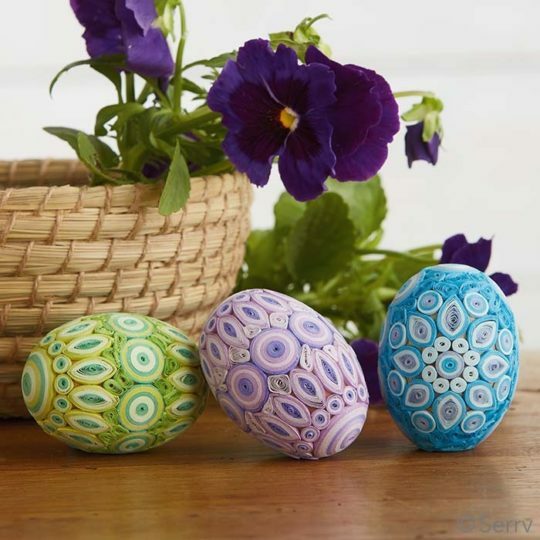 Remarkable in detail and craftsmanship, wooden eggs are covered with dozens of individually coiled paper strips for beautifully detailed color and pattern. Set includes three eggs as shown. 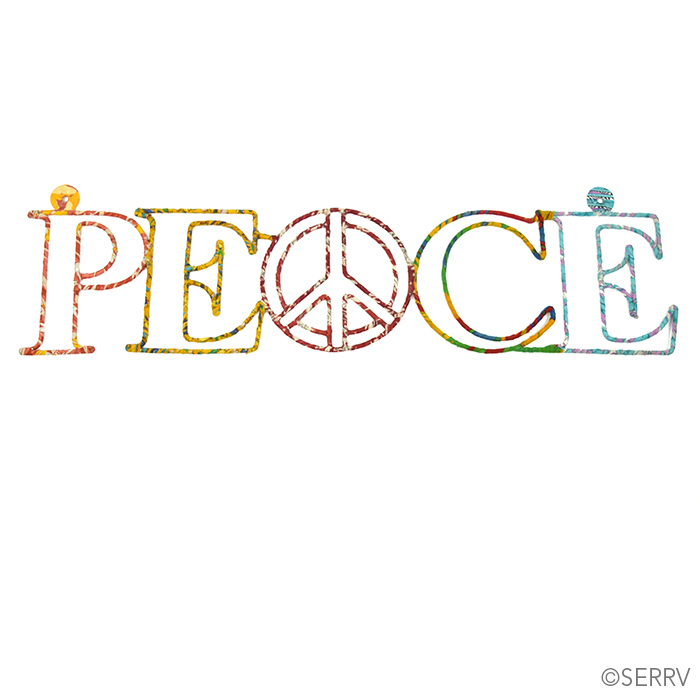 Each piece is 2" h.